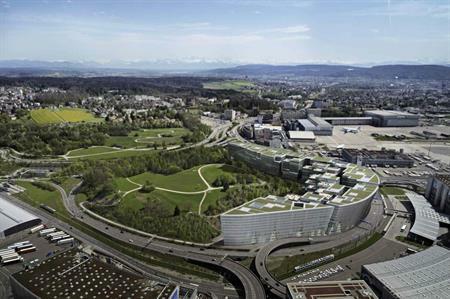 The Circle at Zurich Airport Switzerland, a proposal for an international business hub, is aiming to complete its first phase of development in the next five years. 550: the number of rooms at the two hotels on site. Hyatt Regency Zurich Airport will feature 250 rooms, Hyatt Place Zurich Airport will offer 300 rooms. 1,500: Hyatt Regency Zurich Airport will have a convention centre catering for up to 1,500 people, with additional rooms for meetings and exhibitions across a 45,000 sqm space. 2018: The date of completion for the first phase of the project.